Serving the Greater St. Louis,St. Charles and Jefferson County areas. We offer Emergency Care and Safety Institute certified CPR, AED and First Aid Classes or medical care at your special event and athletic tournaments. 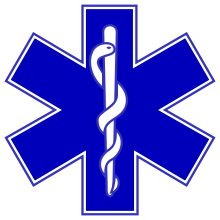 If you’re looking for high quality training and professional Special Event Medical Services, you’ve come to the right place. At CPR & SPORTS MED, LLC we will give you the attention and personal service you have come to expect and deserve. We offer Emergency Care and Safety Institute certified CPR, AED and First Aid Classes. More classes will be added shortly. We will come to your location for classes. We will also come to your special event or athletic tournament and provide the care you or your athletes need and deserve. Our rates are competitive, with all costs explained up front. Our employees are all licensed medical professionals and certified instructors.They are friendly and will be there to help you every step of 2011 the way. CPR & SPORTS MED, LLC has been located in St. Louis since 2011. We are registered and insured. Let us put our knowledge and experience to work for you.